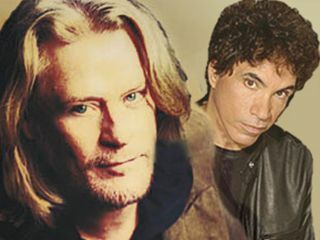 Veteran American duo Daryl Hall and John Oates - Hall & Oates - are suing their own music publisher. They say their 1982 song Maneater was used without their permission, and that the publisher refused to protect their publishing agreement. The suit, filed in Manhattan, New York, says that an unidentified singer-songwriter used the song in 2006. When Hall & Oates asked their publisher, Warner/Chappell, to sue for copyright infringement, the company refused. So now the pair are seeking seek unspecified money damages from Warner/Chappell and want to end their contract with the publishing company. It's as yet unclear what track and artist is the subject of Hall & Oates' complaint. A song called Maneater was a huge international hit for Nelly Furtado in 2006, with writing credits going to to Furtado, Timothy 'Timbaland' Mosley, Jim Beanz and Nate 'Danja' Hills. Furtado admitted Hall & Oates' own Maneater was "an influence", but the two songs have never been formally linked and don't sound similar. Maneater is one of Hall & Oates' most successful tracks. It has been covered numerous times as well as being sampled. It reached Number One on the Billboard Hot 100 chart in 1982.